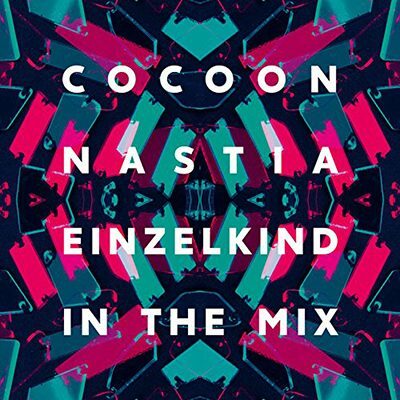 The annual Cocoon Ibiza mix is back with another bang this summer with the essential 2017 edition mixed by two top talents in Nastia and Einzelkind. Nastia is one of the hottest DJs in the world right now. The Ukrainian is headlining clubs and festivals around the globe and showcasing not only great technical skills but also a real breadth and depth of techno knowledge. Focussing on DJing rather than production, Nastia has also run her own festival, Strichka, and has been resident at key clubs Arma17, Fuse and Ampere. As such she is a perfect fit for this job. Kicking off with vital veterans 100HZ, she wastes no time in getting down to a thumping, jazz-tinged groove. From there, techno pioneers like Luke Slater sit next to d&b don Calibre and Detroit legends like Terrence Dixon. The resulting mix is tight and cohesive, and journeys through acid, jacking drum tracks and driving stuff that never lets up. Taking care of the second disc is Einzelkind, the German who runs three labels including JAX and Pressure Traxx and for more than a decade has been releasing on Get Physical, Playhouse and Cécille, amongst others. He is a no-nonsense DJ who has played the likes of fabric and Space, and as such has helped put his hometown of Frankfurt on the underground dance map. His selections call upon plenty of his own tracks, both solo and produced with the likes of Ricardo Villalobos, Robin Scholz and Markus Fix. The resulting 70 odd minute mix is more stripped back and cerebral than the first. It is always married to a slick underlying groove and is embellished with minimal synths and brain melting pads that work perfectly in the late night and freaky hours in the club. Always keeping you on your toes, it ducks and dives, bobs and weaves in fluid fashion, and is a nice heady yin to the more physical yang of disc one. Once again then, both these CDs embody what it is to head to the legendary Cocoon party at Amnesia each Monday of an Ibiza summer. Don´t (Acapella) Einzelkind & Charlotte T.